A recent collaboration between Westbury Arts and Westbury Middle School not only encouraged students to create art, but exposed them to it as well. It all started with an idea from Chris Hobbs, an artist and board member of Westbury Arts. Let’s hold an art contest for Westbury Middle School students and take the winners into Manhattan to the Metropolitan Museum of Art and to see the Broadway show Stomp, he proposed. “That age group doesn’t have a lot of options,” he said. He and his fellow Westbury Arts members saw it as an opportunity to foster the appreciation of arts and culture among the students. 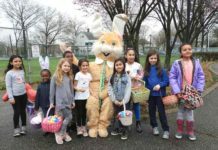 Everyone in the Westbury School system—from administrators to teachers to students—greeted the idea with enthusiasm and support. Seventh-grade art teachers Stephanie Khosla and Louis Calagori put their students to work. Khosla chose artist Maurice Evans’ vivid and exciting Jazz Series as inspiration for her students. She wanted an African-American artist for African American History Month and showed a video of Evans to the class, as well as photos of the art. Soon, the students were creating art with oil pastels. Ariel Andino Reyes with his painting. 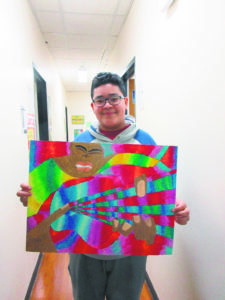 Reyes was one of 20 students ultimately selected by the teachers and representatives from Westbury Arts as the contest winners and one of the few who had ever been into Manhattan before. 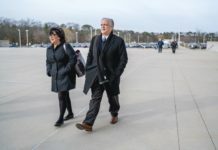 “For most of the students this was their first time in New York City, their first time in a museum and their first time at a play,” said Hobbs. 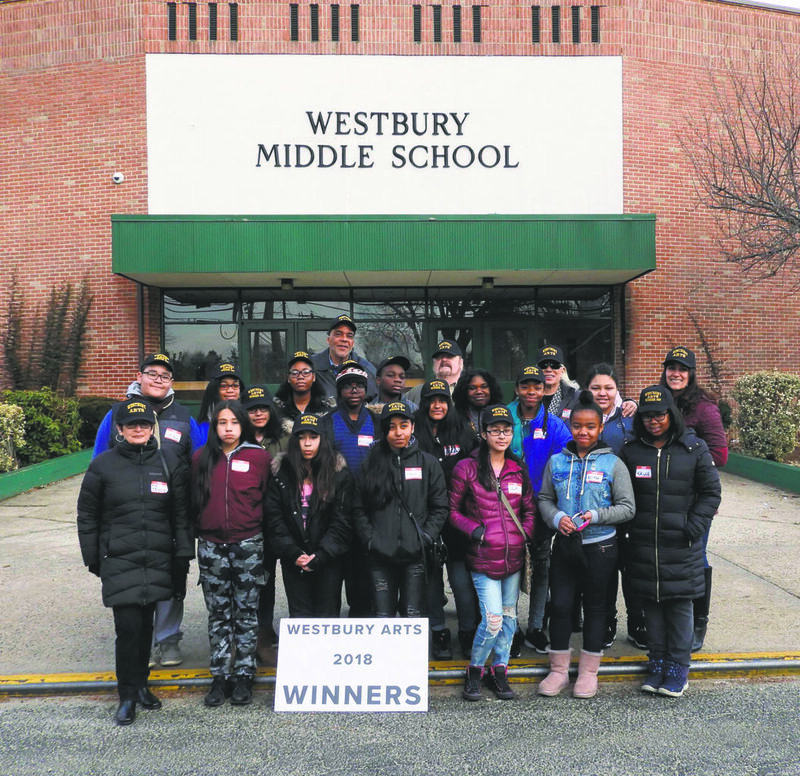 This was a true partnership with the Westbury Middle School providing the teachers, bus and driver, Westbury Arts paying for the museum fees and food, and Hobbs, and his wife Cheryl, underwriting for the theater tickets and Westbury Arts’ hats. Hobbs said Westbury Arts plans to make this contest an annual affair and to expand the program to the high school and into music. He said that people who want to support these efforts can visit www.westburyarts.org and become a member of the nonprofit. Reyes plans to be a chef or doctor but whatever he chooses, art will certainly be a part of his life. “There’s lots of history and art and culture to explore,” he said.